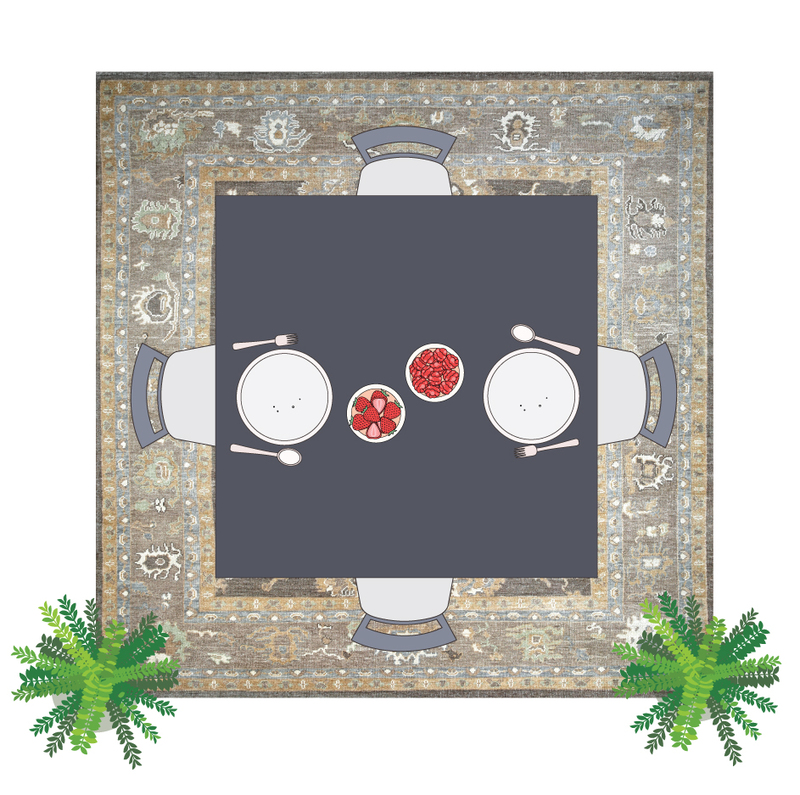 We understand why people might be a little hesitant to add a floor covering to a dining room, after all, it’s a space that is frequently messy and food spills are not something you want to leave to soak into any depth of carpet pile, but the aesthetic is hard to beat! 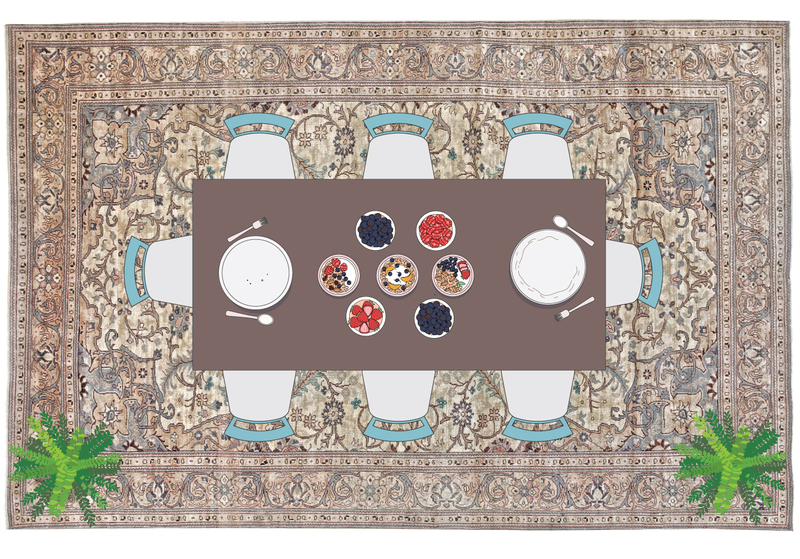 Not only that; a gorgeous rug will really add a sense of grandeur and ceremony to a dining too. 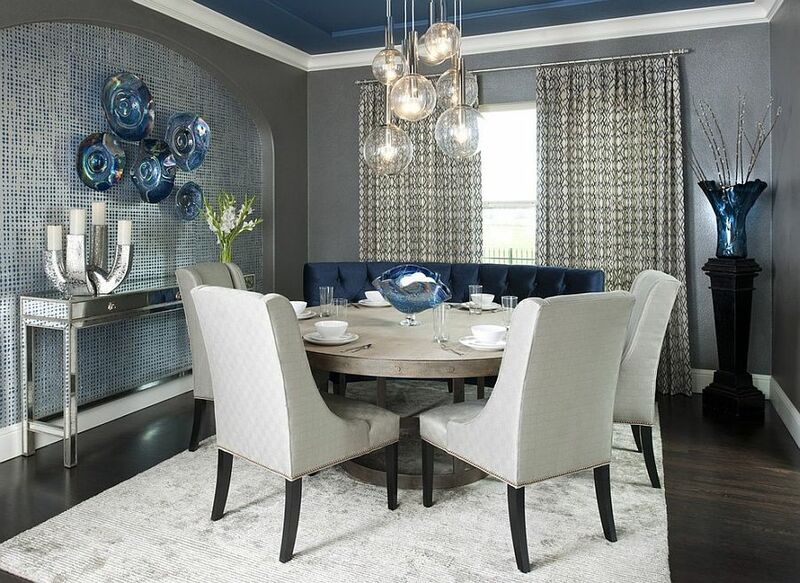 Whatever your rug style preference, the right size will anchor the room and give it a solid foundation. 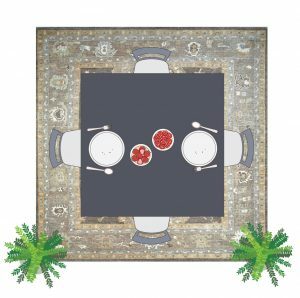 When choosing a rug for the dining room, be sure that it is big enough to allow all four legs of the chairs to sit comfortably on the rug, even when the chairs are pulled away from the table. Here’s a great rule-of-thumb for finding the perfect size rug for a dining room. Measure your dining room table and add 20-30 inches. 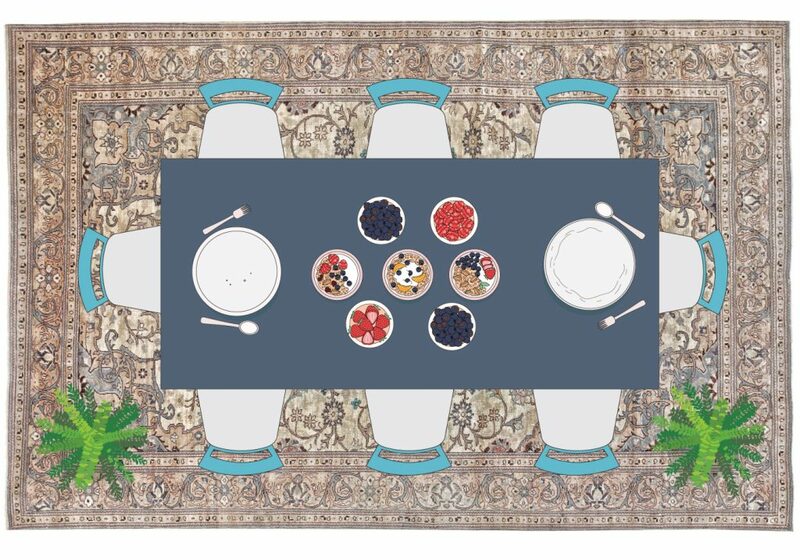 Now you have a the perfect size rug for your dining room. 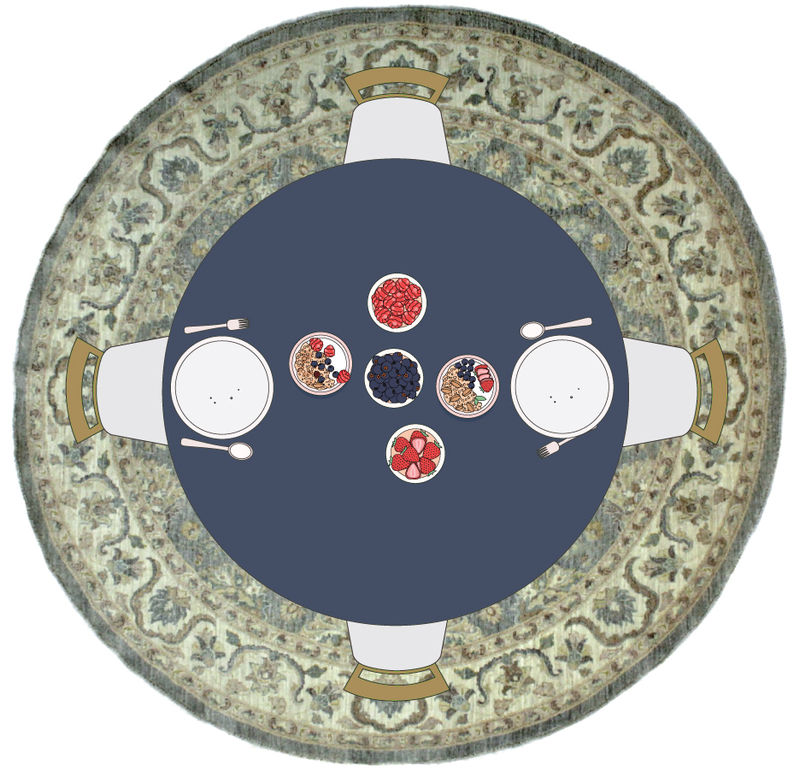 It’s important to choose a rug with a low nap or one that is relatively smooth. 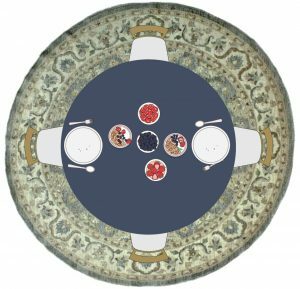 When a rug is too thick or too high or too nubby it becomes difficult to move chairs in and out from under the table and can actually become a hazard. Think of a rug like art that goes on the floor!